This promotion has ended. We’re sorry you missed out this time. Look for another promotion on The PA Wine Land Post later this year! We have teamed up with the Pennsylvania Association of Bed & Breakfast Inns (PABBI) to bring you the PA Wine Land Weekend Getaway Giveaway! Summer is upon us. 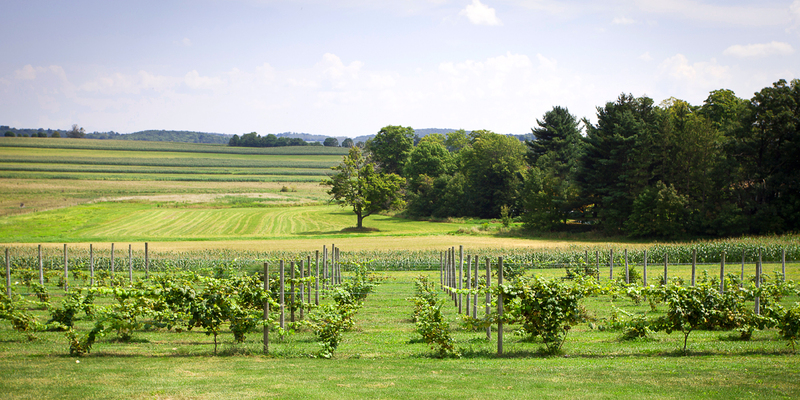 It’s time to get outside and explore Pennsylvania’s wineries and wine trails. PA Wines and PABBI make the perfect pairing for a refreshing summer getaway. Enter below for a chance to win a $100 gift certificate to a PABBI member B&B and a PA Wines swag bag. We suggest you check out one or more of our wine trails. Or you can easily create your own itinerary on our website. And don’t forget to find a Pennsylvania B&B close by on your travels. Must be 21 to enter. This package has no cash or trade-in value. One lucky winner will win a $100 gift certificate to a PABBI Inn member of their choice along with the PA Wine Land swag bag. Winner will be chosen at random, contacted by email and given 72 hours to respond or we may choose another winner. We will mail out the getaway package to the winner. Entrants’ email information will only be shared with the Pennsylvania Wines and PABBI marketing committees. The promotion ends on June 30, 2017 at 11:59 pm EST.